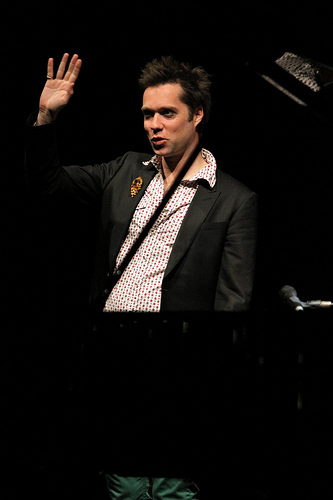 Rufus Wainwright at the Apollo last night. I understand that at a seating gig you have to make concessions as to where you're allowed to shoot from, but behind speaker stacks make for a physical impossibility. Got some great shots of a disembodied head for the first half. Shame.